I have been a Platinum Tier member of the Jet Privilege Loyalty Program for a while now. Getting there was a pretty big deal since the Platinum Tier gets you more than just the Excess Baggage Allowance that one might get on the JP – Gold & Silver Tiers. I will be writing about the Tiers soon. This is my first blog post on the Lounges that are affiliated to an Airline/Credit Card Program. Right at the beginning, I’d appreciate your comments/feedback. Haven’t blogged in a really really long time. Okay, now to the Lounge. Globally, Airlines are known to operate their own Lounges. Air India has the Maharaja Lounge, Jet Airways has their own lounges, Cathay Pacific has the Wing/Pier/Bridge Lounge, American has their Admirals Club and so on and so forth. However, with a view on saving costs, and reducing the hassles of maintaining the property, kitchens, service quality and more; Airlines choose to now partner with other airlines or pure-play lounge operators. These Lounge Operators have spaces in Airports which they furnish, decorate and service for a fee from the odd-traveler. 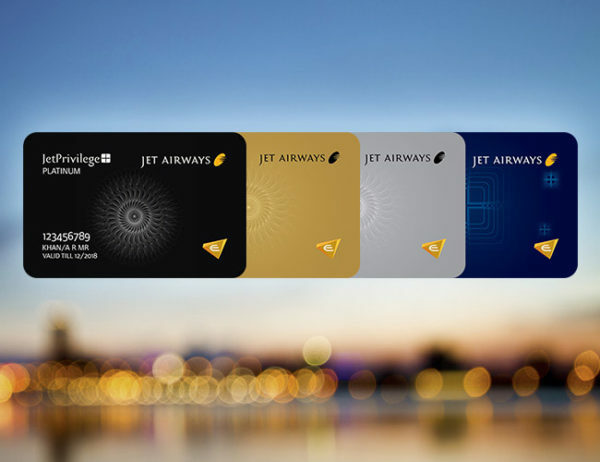 Jet Airways has entered into a partnership with tfs – Travel Food Services (an Indian organisation serving Passengers at the Airport and Air-side). The tfs Club Lounge – Kolkata (Domestic) was the lounge I visited. Getting In: Once you are there it is a real charm to get in. The JP Gold Tier members, and Platinum Tier of course get complimentary lounge access as a part of their benefits. A not-so-frequent flyer can get complimentary lounge access if he or she holds an American Express Platinum or a Diners Club or a Mastercard Platinum & above or a Visa Platinum & above credit card as well. Don’t hold any of these credit cards? Sure, that’s okay. You may use specific debit cards as well. No debit cards – allergic to plastic money, or like to use hard cash – See, here is where things get really expensive. It is INR 999 for an Eat-all-you-can with Non-Alcoholic Beverages. I will be writing about Lounge Access really soon. Ease of Access: Ummmm…I’m not sure. 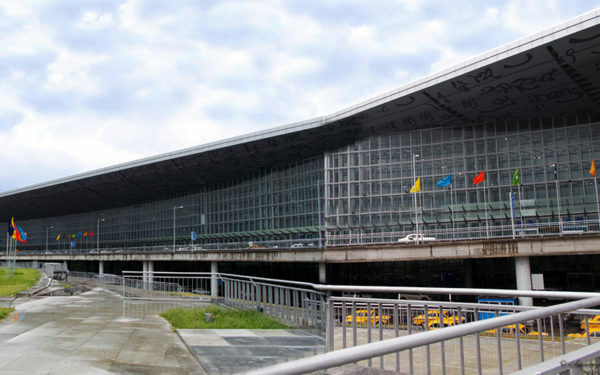 Well, Kolkata Airport’s new Integrated Terminal is a mammoth of a structure as compared to what it used to be (haven’t been to the old one, but pictures and hearsay help me judge). 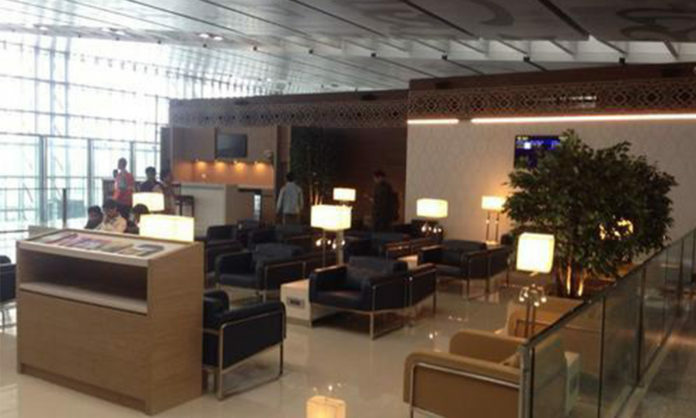 The domestic side of the terminal has gates 16 – 25 to board flights departing Kolkata, and the lounge is located bang opposite Gate 24, one level up. Now, that’s alright when your flight is departing gates 23-25. But, when you are at Gate 16 – Keep Walking. The lounge can be accessed by an Escalator (only going Up), or an Elevator (Both Way). Pretty easy to locate, but it is a long walk. Decor & Furnishing: I like the way the lounge has been done up. It is open air – so you can see the truss holding the airport roof up, and on both sides of the lounge you can look at the outside world. On one side you have the city-side view and on the other you can see the apron, taxiway and runway even (a pleasure if you are an Aviation enthusiast like me). The lounge has a restaurant area (you can eat anywhere though), single couches, and work tables for you. I like the work tables – comfortable to sit and type away to glory. For every two couches, you have a couple of Indian-type Sockets and a beautiful Lamp with separate focus reading lamps (the kind you will find in really fancy hotels). There is a television that plays only sports, and a FID (Flight Information Display) too. There is a partition which houses the coffee machine (full blown), chiller for soft beverages and cookie bar (not really a cookie bar, just a jar of cookies). This partition separates the buffet arrangement and the lounge. The ambiance in the lounge is really good. You will see people who mind their own business, sit in the seat of their choice and simply do what they do. Some of them are loud, but then again – we are in India, and we are loud, proudly so. I like it. And I don’t. The lounge is functional and pretty decent looking. Modern even. It is the open air bit that is annoying. Kolkata Airport is not a silent terminal yet. So, you are bound to hearing really shrill sounding ladies from certain carriers screaming on the PA system for passengers to board, board and board and probably even threatening them to be left back (not going to happen – It is a pain for them to open the baggage hold and throw your bags out. So, they might as well send an army to hunt you down and put you in your seat). Second, the insects – well Mosquitoes and Flies. Open air runs the open risk of the odd insect feeling invited to sit on your food or bite you a little even. Food Quality: The food is above average for Airport Catering and a lot better than the crap you get at Coffee Shops in Airport Food Courts. Having said that, the menu may seem a little restrictive. No wide selection of salads, no proper cuisine definition and a hodgepodge of dishes. But, then again, I believe tfs has gone ahead and made this a ‘snack’ concept lounge more than a luxury offering – And that’s okay. On my trip, I had a lot of tid-bits to eat. Mini Samosas, Chicken Puff, Cheese Croissants, Hakka Noodles, Chicken ‘Schezwan’ and so on and so forth. The square pastries are awesome and they serve Bengali Sweets too. Pick up a plate and eat to your heart’s content. The food is fresh, warm/hot and tastes good. Not spectacular; good. Overall, it is slightly over average. The drinks are a different story though: I loved their coffee. The cookies are a good compliment too. Service: The front desk staff here are prompt. Repeated visits will ensure a gentle welcome from their Manager and staff alike. What I like best about them is that the waiting staff will make sure you are comfortable, and your used plates are taken away and prompt service is given. This is one of the better lounges in the country, and while you can give it a miss, take a shot and try it out to stretch out while you wait for your departure from this large, but rather uneventful airport. I'm Apurva. Professionally I am a Strategy Consultant specializing in Business Model Transformation, Business Process Re-Engineering, Human Resource Development and Talent creation. I've had the privilege to work for and work with some of the biggest brands and organisations in the TMT - Technology, Media & Telecommunication space professionally. Traveling is a passion, hobby and interest for me. Experiencing Food, Culture and Sights; Exploring the depths of cultures and Meeting people, forging relationships with them is what I wish to do going along. Ardent frequent flyer, aviation and railway enthusiast. About a year and a half ago, I began to learn Disc Jockeying and Music Production. I perform live events under the moniker 'AxiAum' and have released a few tracks and sets of my own.